I have been to many Chinese Restaurants in the Netherlands over the past few years. For this post I have selected the ones that serve Sichuan cuisine. 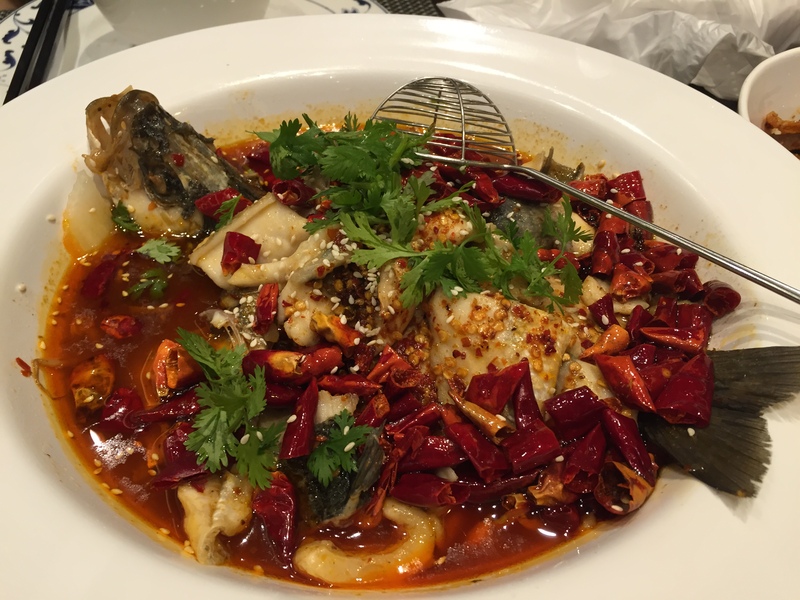 Sichuan cuisine is one of the most famous “Eight Cuisines” in China, known for its spiciness. However, do not misunderstand that all Chinese cuisines are spicy, and everything from Sichuan cuisine is spicy. There are so many varieties in taste, you can’t simply generalize by just describing them as “spicy”. Marking scale: 1 lowest and 5 being highest; ○ means 1 point, ● means 0.5 point. I tried my best to look for some of the food pictures in my phone and camera, but unfortunately some weren’t very good, so I will add some better pictures when I go back to these restaurant. Out of all the Sichuan restaurants I have been to in the Netherlands, San San always had a place in my heart. And I always use San San as a benchmark for comparison. 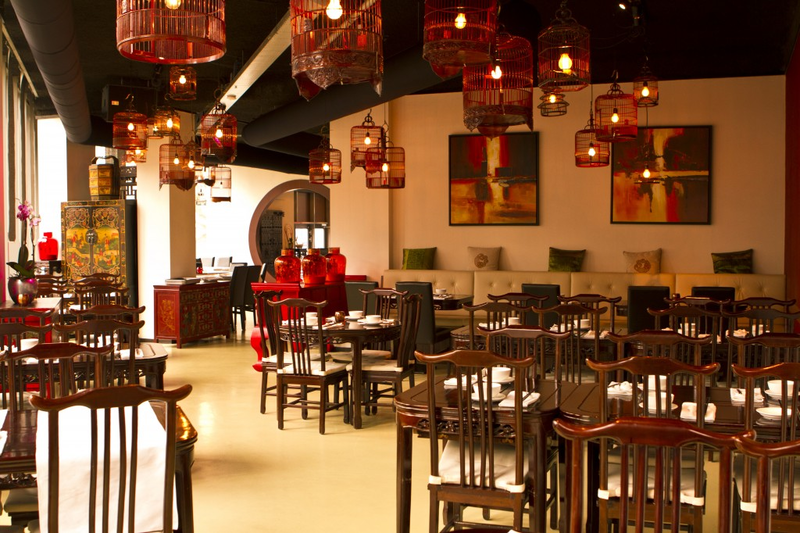 San San is dedicated to making authentic Sichuan Cuisine, so you won’t be able to find “Dutch Chinese” food here. I have been to San San countless time, and I can honestly say that I always left with satisfaction. If I have to pick one thing I don’t like is that they almost never change their menu. 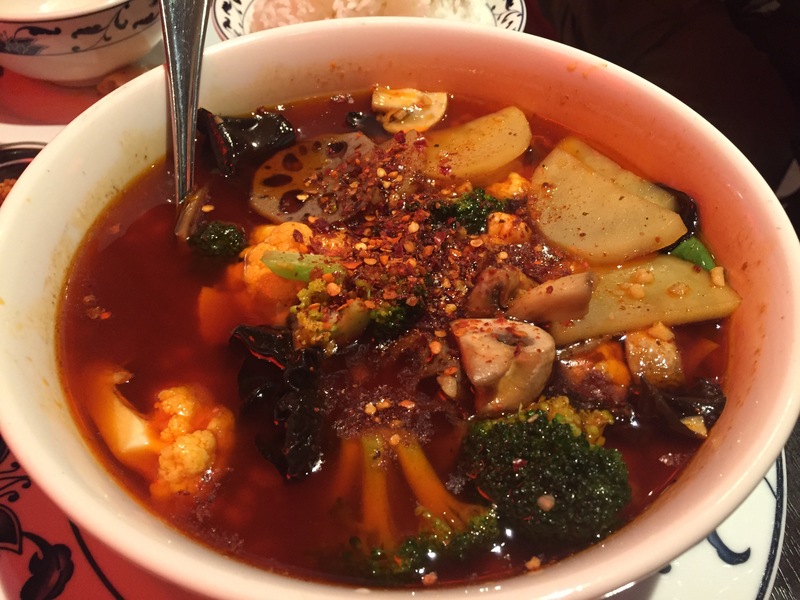 You can choose 4 different levels of spiciness: low, middle, high and Sichuan spicy. Well trust me, I can’t handle Sichuan spicy and that proves that not all Chinese people can eat very spicy! The interior of the restaurant is very authentic, from its with wooden tables and chairs, to the light bulbs inside the birdcages. It all looks very Chinese and elegant. They also have an introduction story of the Sichuan cuisine displayed on the wall. 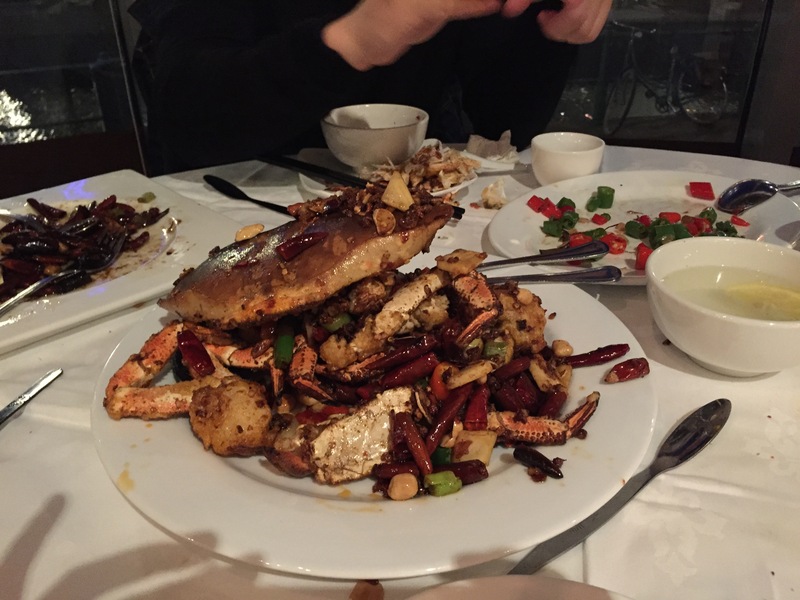 The menu is very extensive, you can find most of the famous Sichuan dishes on it. My favorite dishes are Gong Bao Chicken 宫保鸡丁, Crispy duck in fish sauce 鱼香脆鸭and Chili Crab 香辣蟹. The first time I went to Red Pepper they just opened their restaurant. Red Pepper tries to serve their food in a more western manner, something that isn’t necessarily bad as long as they remain authentic. Unfortunately they were not authentic, instead they are a quite pricey place but the quality of the food doesn’t match this price. The service was also a real letdown, when I visited Red Pepper it took them quite some time to serve our food, so all in all I was a bit disappointed. We ordered Sichuan cold noodles凉面, Cooked chicken in Sichuan sauce口水鸡, Sichuan grilled fish四川烤鱼, Sichuan surf and turf 毛血旺, and Braised eggplant in Yushiang sauce鱼香茄子. In my opinion the cooked chicken in Sichuan sauce and the Sichuan cold noodles were very good. The rest however wasn’t too impressive and not authentic. The amount of food we got with our cold dishes wasn’t enough. After the meal I didn’t have the feeling “ that was a good meal”, I more felt like “that’s it?” This feeling was not because the amount of food we ordered but more because of the diversity in flavour and the umami in the dishes. To put it bluntly, I got bored by the dishes. All of this led to an overall feeling of disappointment and me not wanting to go there anymore. I would suggest Red Pepper to stick to authentic dishes instead of experimenting too much with one dish. There is nothing wrong with creativity but your food always has to satisfy your guests. Fu Lu came to my attention because of its popularity on the Chinese forum GoGoDutch. This is the reason why I really wanted to try it for a very long time. I am not disappointed at all, but why did I only rate the level of authenticity ★★★☻? Because they also serve some Dutch Chinese food. When I went to Fu Lu with a friend there was also a large group of Chinese tourists in the restaurant. It seemed like they made special arrangements with the tourist group because they had a full set menu. To be honest, the dishes didn’t look very good to me, and the “tourist menu” was not really authentic. However, the Sichuan dishes they served were really good. We ordered Beef and beef offal with red oil sauce夫妻肺片, Boiled fresh fish (Sea Perch) in hot sauce 沸腾水煮鱼, and Dry fried cauliflower with spices干锅花菜. The spicy fish was even better than at San San! At San San they normally don’t give add enough fish in the dish but at Fu Lu they give you a whole fish. Be careful though, they do not remove any bones from the fish. The cauliflower wasn’t really good in my opinion, nor was the service we had to wait almost half an hour for this dish. I think the service wasn’t up to standards because of the large tourist group. Overall, the quantity and the quality of the food is in line with the price. I am happy I went to Fu Lu. Therefore I will definitely go back and preferably with more people so we can try out more other dishes. The restaurant is very close to Amsterdam Central Station, it is situated in a small ally with big Chinese characters outside. So it is not too hard to find. The place isn’t very big but the interior is very very authentic with beautiful Chinese lamps. Not only the interior, but the Chinese porcelain they use are very in line with the China theme, and I really appreciate when restaurants put so much effort in making the customer experience worthwhile. We weren’t very hungry but we wanted to go there anyway. We only ordered two dishes, but very typical Sichuan style. In Sichuan these two dishes are more of a local snack. 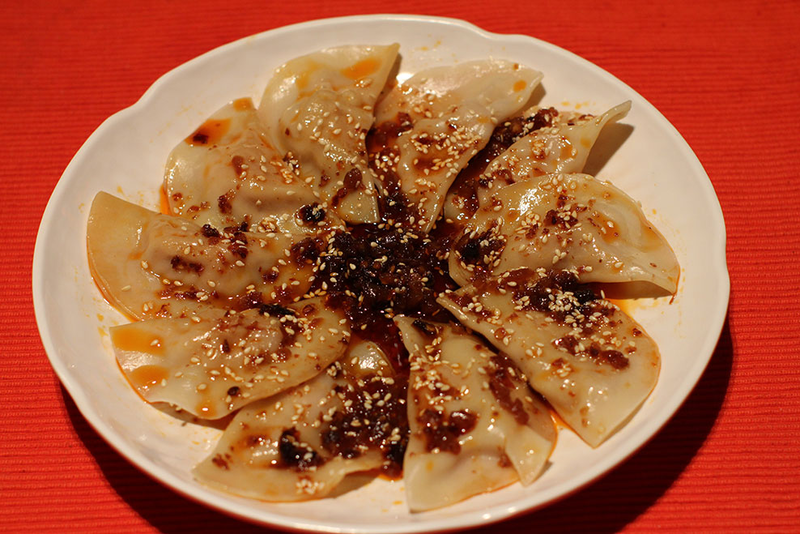 They are Sichuan Spicy Dumplings 钟水饺, and Sichuan Special hot mixed vegetables冒菜. These dumplings are different than normal dumplings, because the dumplings are only filled with meat, so no vegetables. Secondly, they put dressing over the dumpling that is a combination of spicy and sweet. When serving the dumplings, they will put on some white sesame seeds and some peanuts. The other dish is purely vegetarian in Sichuan Restaurant Amsterdam, on the menu the picture shows some added beef tripe but the actual dish doesn’t have it. So if you don’t like tripe don’t worry, this dish is very “safe” for you. With some rice on the side, it completed the dinner and we were both very satisfied. Honestly, I have been thinking about this restaurant for almost a week after coming back from it. So it is needless to say that I will definitely go back there. One tip is that if you have nut, especially peanut allergy, you have to be extra cautious when going to a Sichuan style restaurant because they use a lot of peanuts in different dishes. I always pay attention to the rice that Chinese restaurants serve, and I think Sichuan Restaurant Amsterdam serves the best quality rice out of all of them. The rice was very soft and it was still quite warm when they brought it. San San and Fu Lu are almost the same, a bit on the dry side. Red Pepper’s was ok as well. Hope this post gives you an idea of which Sichuan Restaurant to go to in the Netherlands and let me know how you think of them once you have tried!